Sewer stoppages can often be cleared by a regular rooter or jetter service, however, when the line is broken or unable to be cleaned, it is a sign of a problem with the sewer line. My Plumbing Doctor has the equipment necessary to locate the specific problem area and avoid unnecessary extra work...saving you money! 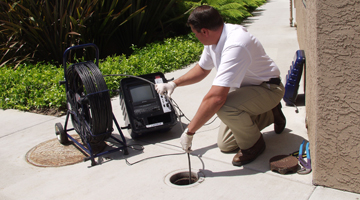 We can locate and video inspect the sewer line to pinpoint the area that needs work.